With the wispy, wintery months giving way to longer days and skies heavy with the weight of a summer sun, it seems we are always searching for the easy-listening album that can tinkle away in the background while we laze the afternoons away. Our Nature is one that should be in rotation on anyone’s saturated playlist. 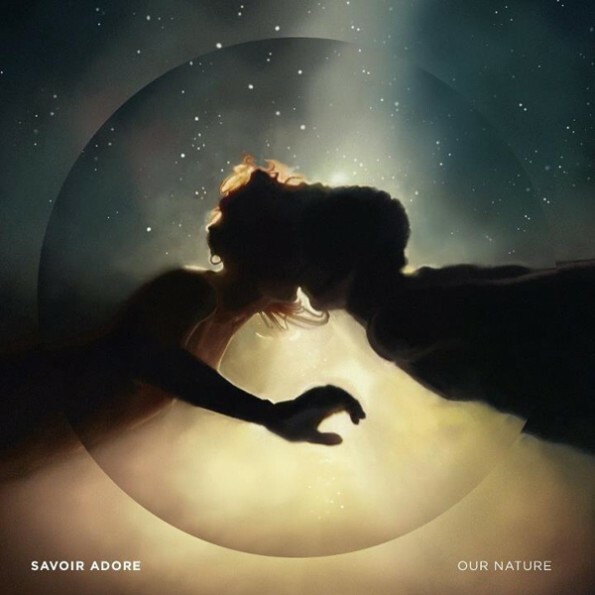 Whilst retaining the purity of their previous work, Savoir Adore have progressed and fleshed out their dueling sound into an altogether more mature experience. Vocals are shared in equal measure between between Deirdre Muro and Paul Hammer, both providing a contrast of retro-inspired licks and hooks. “Wild David” in particular highlights the brooding deepness of Deirdre’s voice. Maintaining an altogether simplistic and straightforward approach, “Anywhere You Go” maintains one of the catchiest choruses of the album, clinging onto your brain and making you dizzy with repetitive, lulling vocals. The title song “Our Nature” placed directly in the middle of the 14-strong tracklist provides possibly the most down to earth sound, with nurtured, overdubbed vocals that would not look out of place in the shoegaze genre. Our Nature is an album intended to be listened to from beginning to end, each song seamlessly bleeding into the next. This is definitely our summer sound.